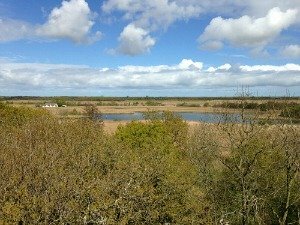 The Nature Reserves in Norfolk are primarily dominated by the Norfolk Wildlife Trust with 32 reserves in Norfolk alone, and the RSPB with 8 sites, some on the wonderful Norfolk coastline, some inland on the Norfolk Broads, and others even further inland in woodland. There’s something for everyone, young or old! The RSPB, as with the other organisations, are constantly trying to encourage enjoyment of the incredible wildlife we have. With this in mind, many events are organised, and you can see a whole host of RSPB events here. 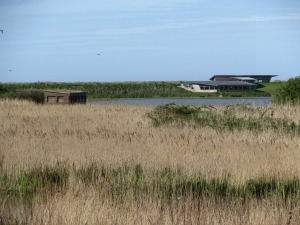 For birdwatching, the coastal nature reserves have a wonderfully wild feel to them, with open expanses of marshes and reedbeds, and many pools and lagoons on the way to the beach, such as the Norfolk Wildlife Trust's Cley Marshes (Norfolk’s oldest and most well know nature reserve), and the RSPB sites of Titchwell and Snettisham. If you’re wanting to catch sight of some spectacular birds, these are the reserves to come to. They are very easily accessible, with well-worn paths or board walks, so no need for welly boots or strong walking boots if all you want to do is wear your flip flops (probably not in the winter though!) The choice is yours. 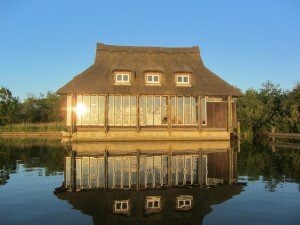 The NWT Hickling Broad is a completely different nature reserve to some of the coastal ones as it covers a huge expanse of reed beds and is one of the largest areas of waterways on the Broads. This reserve now covers 1400 acres and is home to bitterns and swallowtail butterflies and a 60ft high watch tower! NWT Ranworth Broad is another Broad you can discover by boat trip and has one of the largest cormorant roosts in the UK. You could also visit St Benet's Abbey as well as visiting the broad whilst on one of their trips. 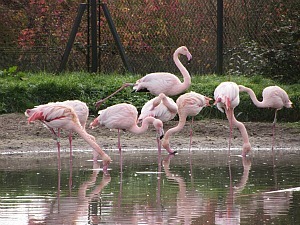 The RSPB site of Strumpshaw Fen is another wonderful reserve set in the surrounds of the Norfolk Broads. 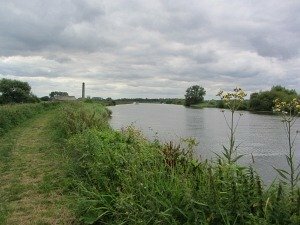 Here you can walk along the quiet banks of the River Yare, and in amongst the meadows, woodlands and reedbeds. 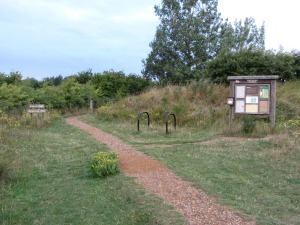 Sculthorpe Moor is inland, on the Wensum Valley near Fakenham. 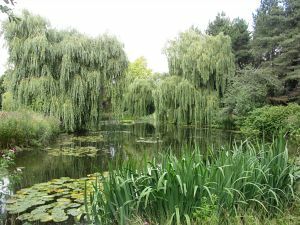 This is a fantastic small 45 acre reserve where you'll have a much more intimate bird watching experience. It's a really lovely reserve managed by the Hawk and Owl Trust. The Snettisham Spectacular is definitely a must-see for anyone in Norfolk. 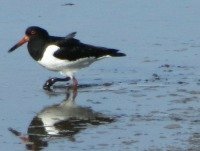 Its world famous for it's incredible spectacle of knot and oyster catcher swarming together en masse as the tide comes in, literally pushing them off the mud flats. Takes your breath away! As does the spectacle of the pink-footed geese, flying over in their hundreds. the noise is something to experience. 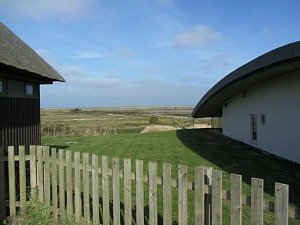 Two of the main birdwatching sites, Titchwell RSPB Reserve and Cley Reserve, both on the North Norfolk Coast, have very modern state of the art hides. Huge windows to view the birds, lots of seating, books and posters to describe the birds you’re watching if you’re unsure as to what you’re looking at. These reserves, however, haven't lost their old fashioned hides, which give you a sense of being right down on the water’s edge, giving you a fantastic low level sight of the birds, almost as if you’re on the water with them. If you’re new to birdwatching, sometimes these hides (and experienced birders) can seem intimidating. Please don’t let that put you off, because what you’ll see on the water’s edge is far more exciting than worrying about whether you know the name of the bird or not. And more often than not, most experienced bird watchers are very happy to tell you what’s around. 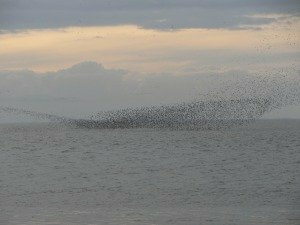 RSPB Snettisham is also another one of the coastal Norfolk nature reserves, quietly hidden away but comes alive in the winter when the pink footed geese and the knot arrive. It's an absolutely incredible sight and one you much get to see if you can! 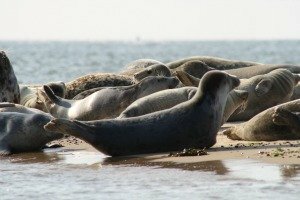 Or you have the beach nature reserves such as Blakeney National Nature Reserve, owned by the National Trust with its wide range of flora and fauna, as well as the infamous seals – definitely worth a visit to see these cumbersome but serene mammals - they'll take your breath away. 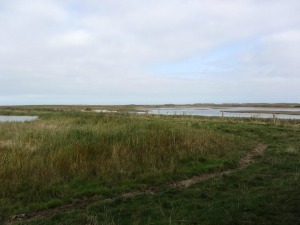 Scolt Head Island is another nature reserve, jointly owned by the National Trust and Norfolk Wildlife Trust. A little bit more difficult to get to, but still possible from April-September and home to some extremely well known and important breeding birds such as the Sandwich and Little Terns and waders and wildfowl. You can walk across to Scolt Head (I’ve never done it! ), but you have to know the area and tides EXTREMELY well. 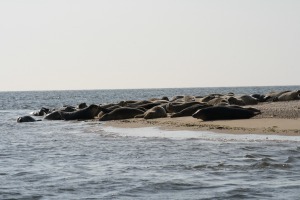 This island, as well as Blakeney Point, have restricted access to certain parts due to the preservation of wildlife on the reserves. Holkham Nature Reserve is owned by the Holkham Estate – this reserve is different to the others in that it stretches from Burnham Norton to Blakeney and you can walk pretty much all the way along it, on the Peddars Way and North Coast Path, and if you’re visiting Wells beach, if you criss cross the paths from Wells to Holkham, you’ll be seeing some of the best habitat in Norfolk. 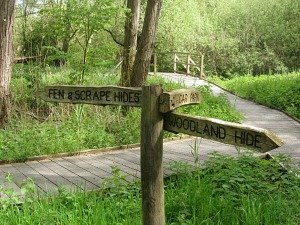 If, however, you’re more interested in the flora and fauna of Norfolk, rather than bird watching, then the Norfolk Wildlife Trust have many sites dotted around the county where you can take wonderfully unspoilt walks in woodland, disused railway lines, heathland and fens. Visit the Norfolk Wildlife Trust site to see the location of their sites (as there are too many to mention) and get some more detailed information on exactly what you’d like to see. 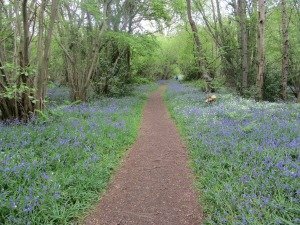 Foxley Wood is a great example of this, where the NWT maintain this very ancient wood extremely sympathetically, and is particularly amazing when the bluebells are out. 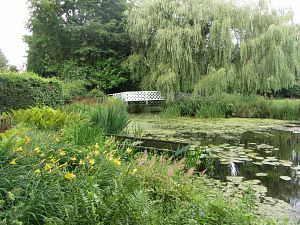 But a couple of other wildlife and nature places to visit are Holt Country Park and Gooderstone Water Gardens. Most of these reserves don’t allow dogs due to obvious reasons such as disturbing the birds, but some of the NWT woodlands allow dogs on leads, so you need to look up before you leave. 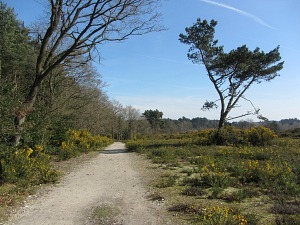 One pretty woodland Park that does allow dogs is owned and run by North Norfolk District Council - Holt Country Park. 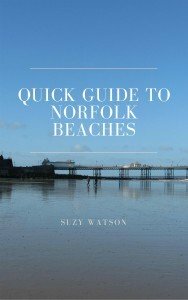 I really hope that you experience some of these Norfolk Nature Reserves. 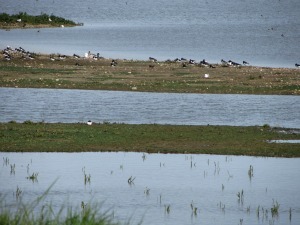 You can even have some wonderful coastal walks over these reserves which are really enjoyable. I know you won’t be disappointed. If you catch site of a bird you’ll never see again, it will have been worth your while!